I thought the days of these unexpected palettes were gone! 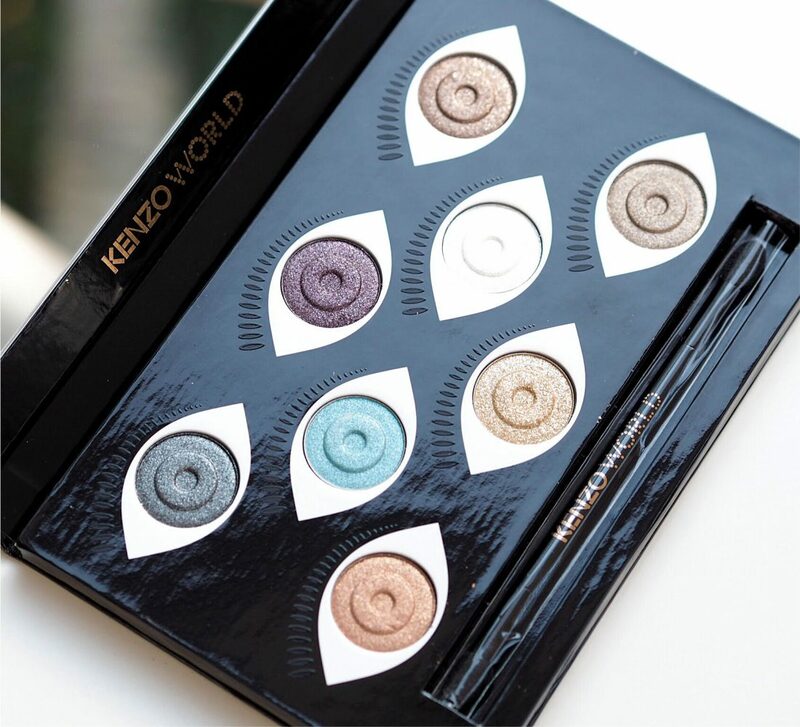 I’m obviously very happy to see this Kenzo World Palette, an addition to the Kenzo World fragrance that launched this year (or was it last year – it had one of the best fragrance bottles I’ve ever seen). The palette is designed by Carol Lim and Humberto Leon, Kenzo creative directors. 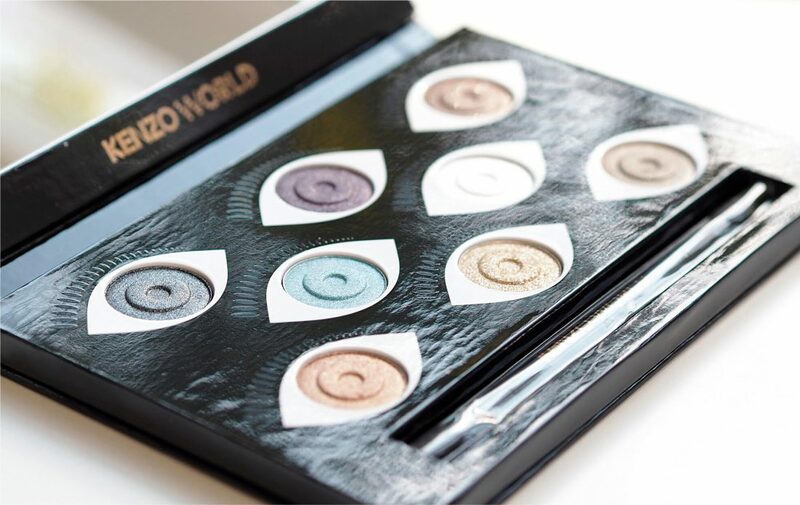 The palette has plenty of attention to detail – it’s cardboard casing but even so, every ‘eye’ has its own set of lashes. 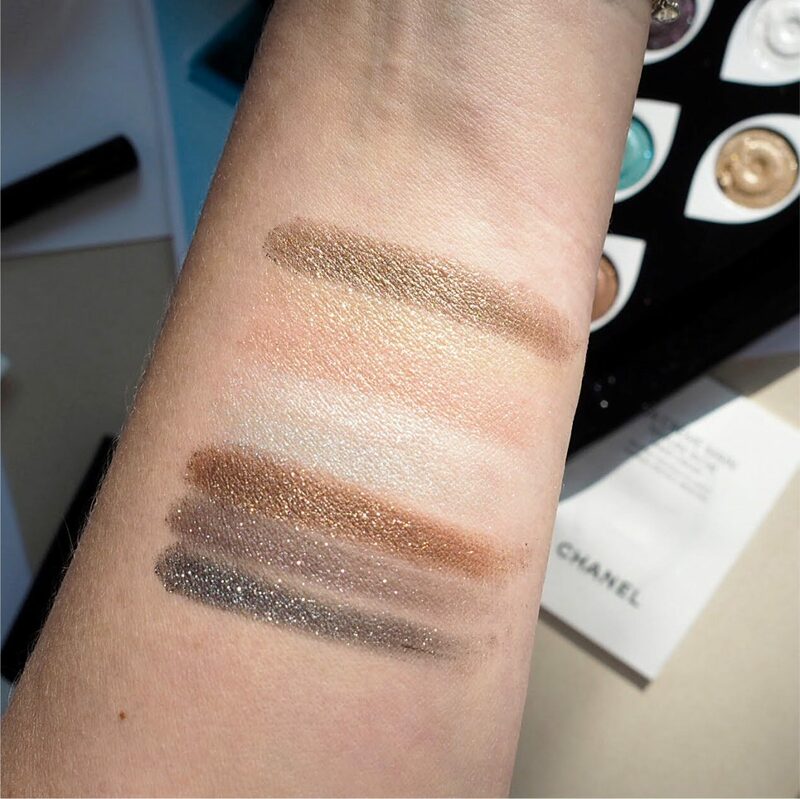 The shades themselves are really a collection of shimmers – I would even say toppers; washes of glimmer to go over more impactful and saturated shades. It comes with a sponge applicator which gives a completely different finish to using a brush. With a brush, it sweeps up the sparkle and deposits a sheer coat of twinkly, light colour. The sponge will give more depth to the shades. Actually, thinking about it, some of these are perfect to go over a bare lid for a nuance of make up but plenty of sparkle. The shades, going row by row left to right are: K’Mix & Match, K-Offbeat, K-Stylish, K-Trendsetter, K-Crazy, K-Unconventional, K-Playful and K-Smiling. I’m pleased that you can see how sparkly it is in this picture in the first three shades but I can assure you it’s the same for the others. This swatch shows less of the sparkle but more of the colour. 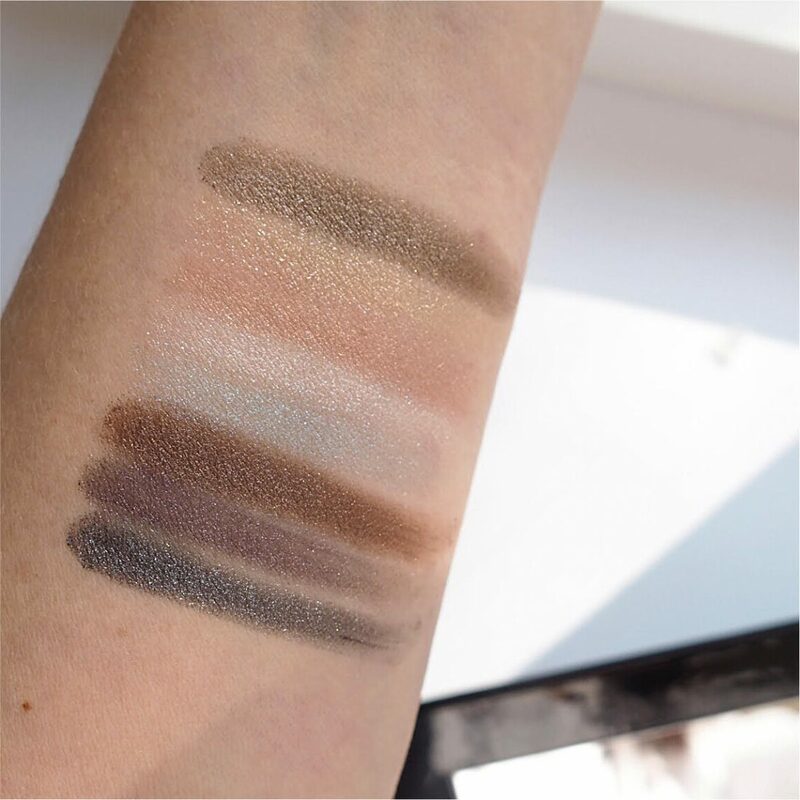 The palette is £38 launching at FeelUnique soon (it should have already uploaded but at the time of writing, it hadn’t) – it’s one for collectors I think! Oh, and you get a little phial of Kenzo World fragrance inside too.